High Quality Lapbooks and Notebooking Unit Studies! The ORIGINAL Lapbook Company and World Leader in Lapbooking and Notebooking Unit Studies! This page is filled with great ways to save money and learn more about our products. 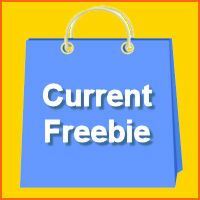 First you'll find our Current Freebie. This is a full unit, exactly the same format as all other units on our site. 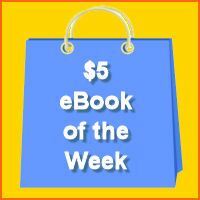 Second is our $5 eBook of the week. Yes, every week we offer a new eBook for only $5. 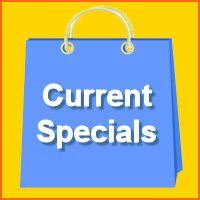 Last you'll find out about any Specials we are currently running. Simply click on the boxes above to be taken to each item. Download this unit to get a better understanding of our products, each of our products has the same layout and sections so any unit you purchase will be in the same format. The free product is our Project Pack Plus eBook Version, it has both our Project Pack (Lapbooking) and our Note Pack (Notebooking) options in the download, but both options can be ordered individually as well. Teachers and Homeschool parents love our high-interest, hands-on curriculum including Lapbook Project Packs and Notebooking Packs. 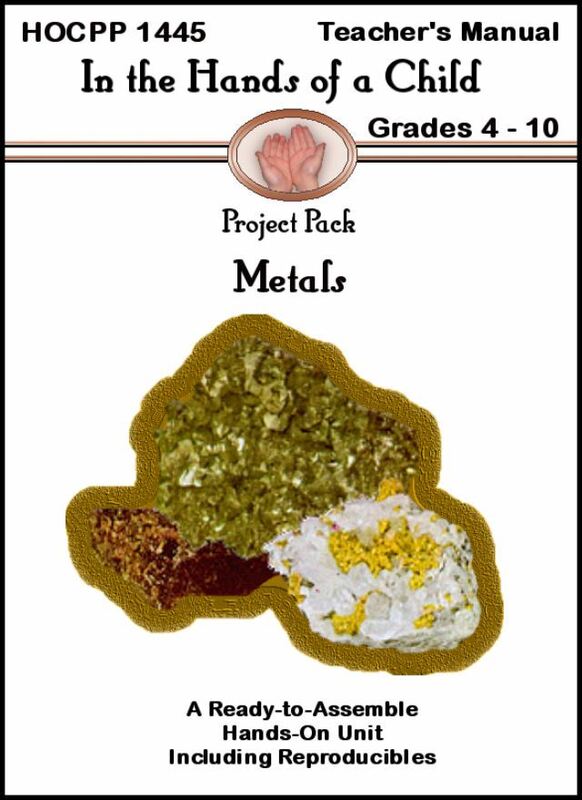 With this unit study you will be able to teach your 4th-10th grade classroom about metals. Metals are chemical elements that are characterized as durable, lustrous, and strong. They are so strong and malleable that no other materials compare! Make your lesson planning easy with the Metals Curriculum from In the Hands of a Child. This pack includes a 6-day Planning Guide, Related Reading, 15 Hands-On Activities, a 9-page Research Guide, and Answer Key. Students will be introduced to the properties of metal, the periodic table, types of metals, key regions where metals are found, mining for metal, recycling, and more. Download both and you have our Project Pack Plus eBook Version! NOTE: The discount will appear after you have added the eBook to your shopping cart. We Offer a Free Sample of each Title on its Web Page. Cannot be combined with any other offer, coupon, or discount. Have You Started Your Back-to-School Shopping? Save 25%-45% on all other products. (Type It Ins, Kit Packs, CDs, Printed and Printed/CD Combos) at In the Hands of a Child! We know how busy you all are so no coupon codes necessary- just visit us at www.HandsofaChild and the discount is already taken! August is just around the corner and soon a new school year will begin. We are gently reminded of that when we pick up the Sunday papers and see “back-to-school” sales already beginning! When you are making your lists for pencils, folders, paper, and other school supplies you and your students are going to need this coming year, don’t forget to visit us at www.HandsofaChild.com! If you haven’t visited our site in a while, now is the time. We offer lapbooking and notepack curriculum for over 500 topics! When adding this unit to your cart, choose the Lapbook eBook or Note Pack eBook (if available) option. With your Schoolhouse Teacher - Kimm Bellotto!